The Earth Below | OK Listen! 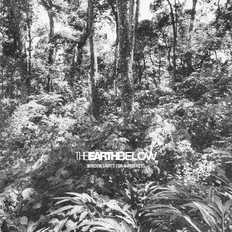 THE EARTH BELOW is the solo project of veteran musician Deepak Raghu; previously one half of experimentalists Rat King, and the drummer of Bangalore based bands Shepherd, Bevar Sea, Dying Embrace as well as working as a sessions musician for many major and upcoming local artists such as Mad Orange Fireworks, Ananth Menon, Blushing Satellite, Alexis, White Mug etc. A full 7 years after the release of the predominantly industrial debut ‘Aleph’ in 2010, he is back with a new album titled ‘Window Lights for Wanderers’. Combining lyrics that deal with isolation and sometimes utter despair with a sound palette that's alarmingly soothing and sombre in atmosphere throughout.